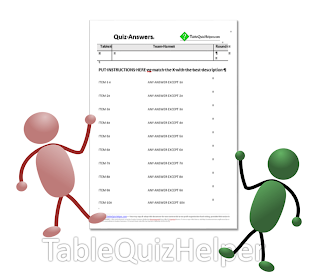 This is a blank table-quiz answer sheet for rounds where quiz-participants must match items from two lists. 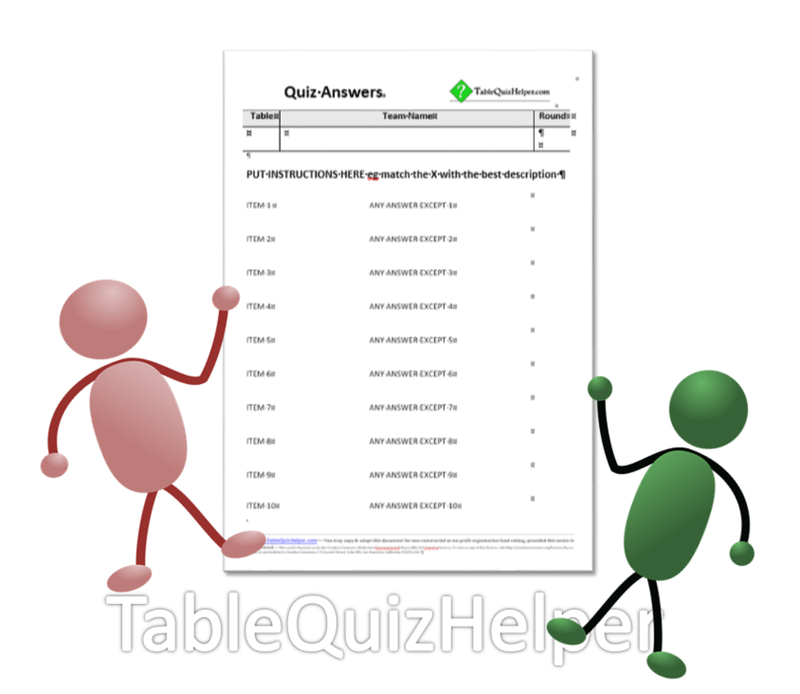 To start with, there are marked spaces for 10 questions. 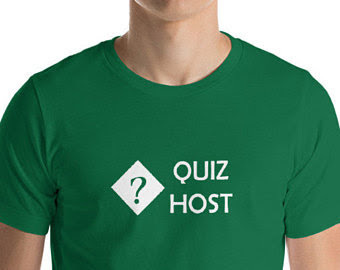 You may need to change this if you need space for multi-part questions, or if you have less questions in your match-the-pairs question round. The Microsoft Word version is the best one to use, and has sample text to show where your lists of items to go. The PDF version is only useful if you want to hand-write the lists of items and candidate answers. The iinstructions (eg "match the animal with the best description of its colour"
The font-size, if you want to fit the items onto one page. If you have more than ten pairs, use the MS Word version and add space for more answers: The form is made using Microsoft Word tables. In Word, you can add extra rows by highlighting the row, right-clicking and choosing "Add rows above" or "Insert rows below" (slightly different wording depending on the version you are using). If your list has have less than ten options, then you may change the form - or you could just ignore the extra spaces.